Georgia has over a thousand software engineers working for a variety of employers around the state according to the Bureau of Labor Statistics. Projections point toward continued growth over at least the next decade for software engineer. What this means....It looks like an opportune time to be looking into the educational paths that can help prepare you for a career in software engineering. 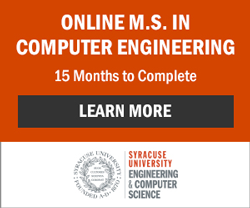 Of course, a software engineering degree program is focused on the curriculum that prepares students for future professional opportunities as a software engineer. The only limiting factor here is that there are not many schools in Georgia offering a software engineering focused undergraduate degree program. There are options such as an online software engineering degree or pursuing a software engineering related field of study. There are many software engineers in Georgia and around the country working at large, medium and small companies who received their undergraduate education in computer science and computer engineering. There are many more in-state school options if you decide to select one of these educational paths.